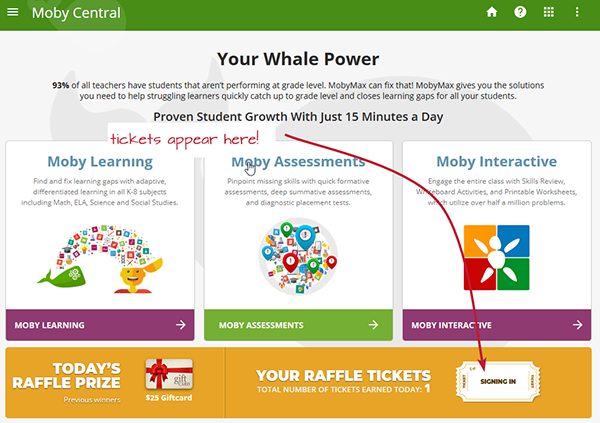 Simply by signing in today, you'll see your first raffle ticket on your Moby Central screen. As you use fantastic Moby features throughout the day, you'll be automatically awarded more raffle tickets. 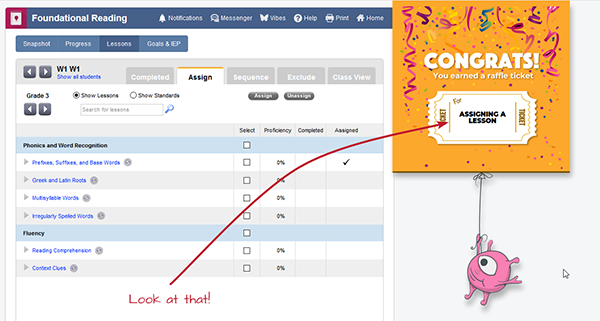 Easy tasks like assigning lessons, printing worksheets, or sending messages all earn daily raffle tickets. There are lots of different ways to earn tickets, so be sure to try out other Moby tools that you haven't had a chance to use yet. You never know - a raffle ticket might be hiding there, waiting for you to find it! Each day we'll pick a winner and send that teacher a prize. The more you use Moby, the more chances you'll have to win. And if you use Moby every day, your chances to win grow astronomically. Sign in today and start winning!